Today felt like the first day of Spring for me, with the sun having some genuine warmth to it. Work commitments and a weekend break in London meant I've missed all of the good weather to date. I decided to tackle the whole patch today, hoping to find my first summer migrants. I started this morning at Langton Woods and invited fellow photography enthusiast Gareth Atkinson along to walk my normal route. I figured two pairs of eyes are better than one and it was great to have some company. Wildlife-wise, it was disappointingly quiet... though I suspect Gaz and I missed a few things as we chatted at length over many topics. Pick of the walk was a couple of lesser redpolls, my first of the year. I'll be honest, I wouldn't have seen them had Gaz not been there so I was very grateful for his better observation skills! 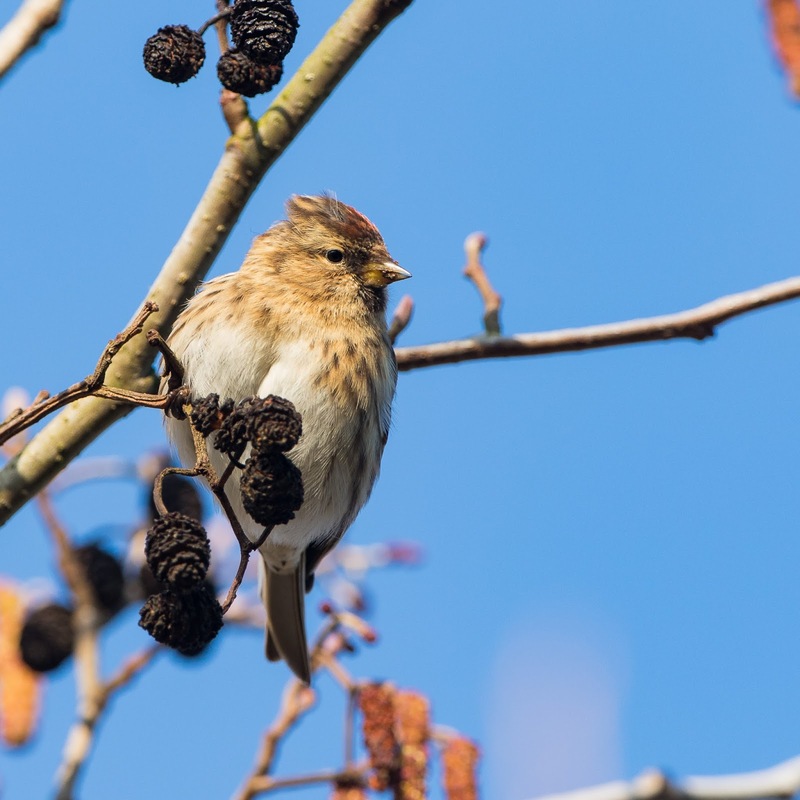 We both recognised them immediately as redpolls, but shortly started to doubt ourselves... neither of the birds displayed any visible red at all... it was only on zooming in on some pictures that we were able to discern the eponymous red forehead at all. Later that morning I tackled the long river loop on my own. 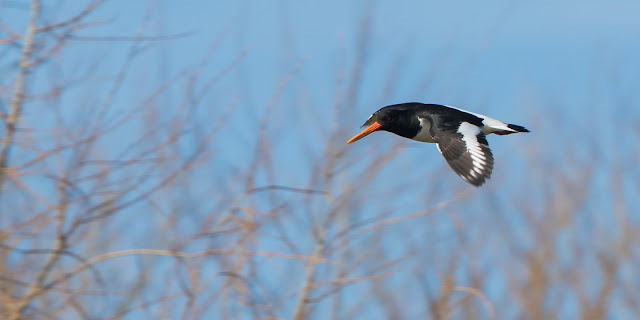 The only real Spring visitor I saw was oystercatcher... in fact they were everywhere, paired up on every gravelly beach along the Swale. I have a few days off now, so fingers crossed for those African visitors. All the action in the last couple of weeks has come in the garden. I didn't think I'd top snipe as a garden visitor this year, but have since recorded peregrine fleetingly over and even a hunting barn owl. My next door neighbour claims it has turned up at the same time every day whilst I've been away, but as luck would have it... when today I was ready for it with the camera, it's not showed at all. Peregrine and redpoll take me to 83 species for the year... not bad at all given the lack of summer visitors, and weirdly, the exact same count I've had on March 29th for each of the last two years.